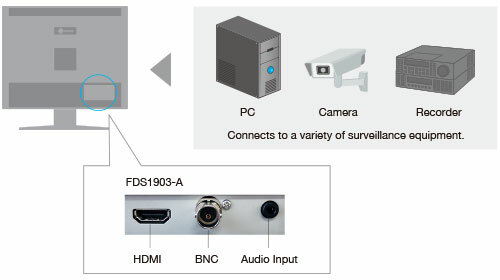 The DuraVision FDS1903-A is a 1280 x 1024 resolution monitor equipped with both analog and digital inputs for connecting to a wide range of security equipment. The DuraVision FDS1903-A is equipped with an HDMI connector for receiving signals from a digital source, such as an HDD recorder. 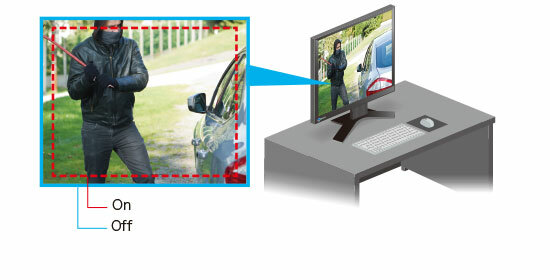 It also has a composite (BNC) input for connection to video surveillance equipment, such as closed-circuit televisions (CCTV) and security cameras. The monitor supports NTSC, PAL, and SECAM signals for connecting to a variety of other surveillance equipment. The monitor can accept a full HD (1920 x 1080) signal via HDMI and display at its native resolution of 1280 x 1024. 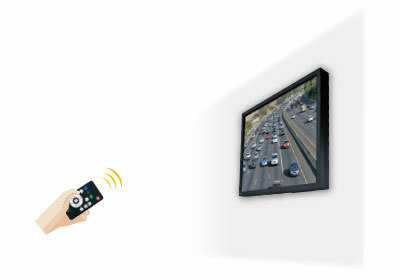 Multiple screen setting options are available for analog or digital signals that allow operators to display images to fit to the screen, stretch to fill, or enlarge while maintaining aspect ratio. A remote control is included for operating the monitor from a distance. Underscan is a function that shows 100% of an image and is ideal for video signals while overscan displays approximately 95% of an image, eliminating extraneous TV broadcasting data that sometimes appears at the edges of the screen. When viewing an LCD screen from below, colors typically appear washed out. The DuraVision FDS1903-A includes an Up View function which minimizes color wash-out for maintaining a clear view. This is ideal for environments where the monitor is installed above eye level. A 3D Y/C separation circuit is built in and separates the brightness signal from the color information. This effectively reduces color flickering and noise that is typically characteristic of analog signals. The DuraVision FDS1903-A comes equipped with built-in 0.5 W + 0.5 W stereo speakers for environments that require sound output from the monitor. The monitor is built for 24-hour use and is backed by a 2-year manufacturer’s warranty for long-term reliability.